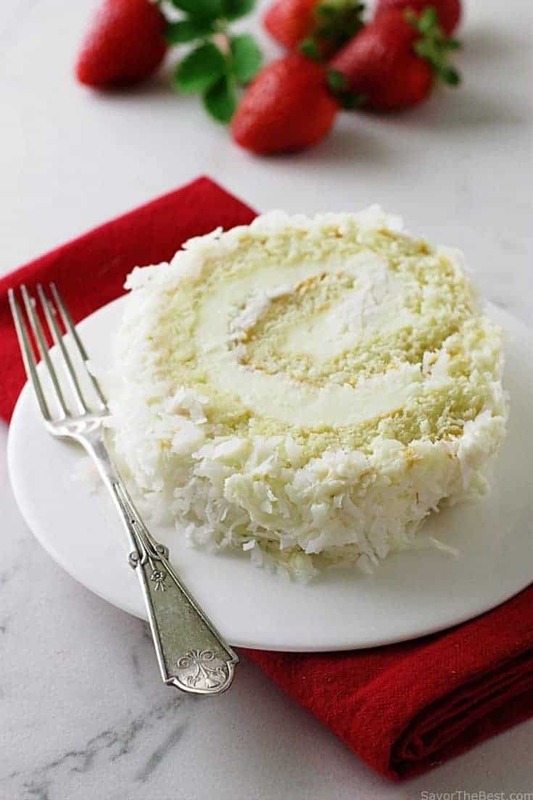 This coconut cake roll makes a great centerpiece at a party. It is filled with a creamy, vanilla, soft filling, covered with frosting and sprinkled with sweetened shredded coconut. You’re going to love this cake! 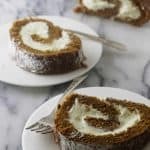 It is an easy and exceptionally delicious sponge cake that has been rolled up with a sweet, creamy, dreamy, delicious filling. Recently, I was invited to a Norwex party and when the product was described to me I decided to attend. I am so happy that I did as their products are amazing. I was so impressed that I signed up to host a party but I also want to share my discovery with you. Of course, you may already have heard of the company and are using their products. Lucky you! Coconut cake roll, with soft, vanilla cream filling. There were eight ladies at the party and I served a coconut cake roll and coffee for our treat. 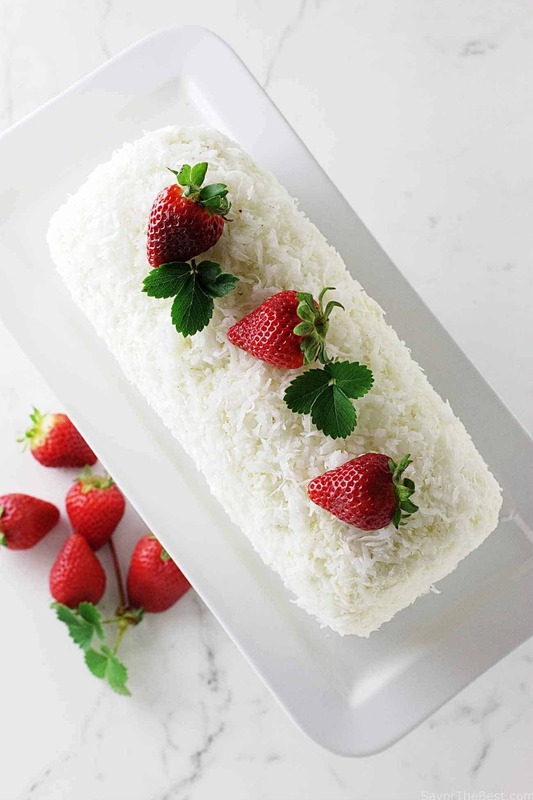 The cake roll was spread with a creamy filling of cream cheese, sugar and cream, covered with shredded coconut. 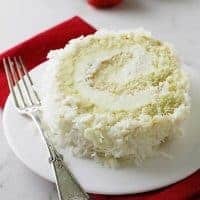 It was rolled up, and frosted with the same creamy mixture and sprinkled with more shredded coconut. The filling also has a touch of coconut flavor to it. The tender, moist cake and the creamy, vanilla- coconut filling make an incredible dessert. It is the perfect cake to serve at a party. Rolling the cake up into an elegant spiral makes a dazzling presentation. 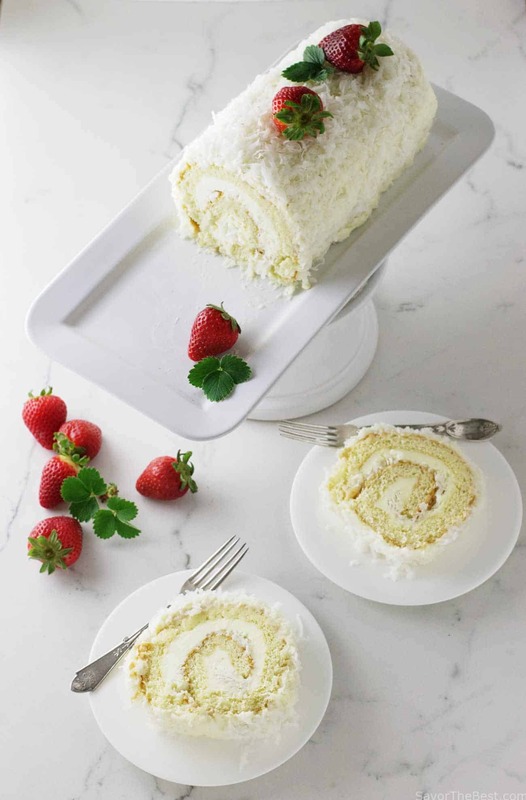 The cake roll is easy to make and will impress your guests. The cake itself was a recipe that I adapted from Taste of Home and it did not have butter or any other fat in it. 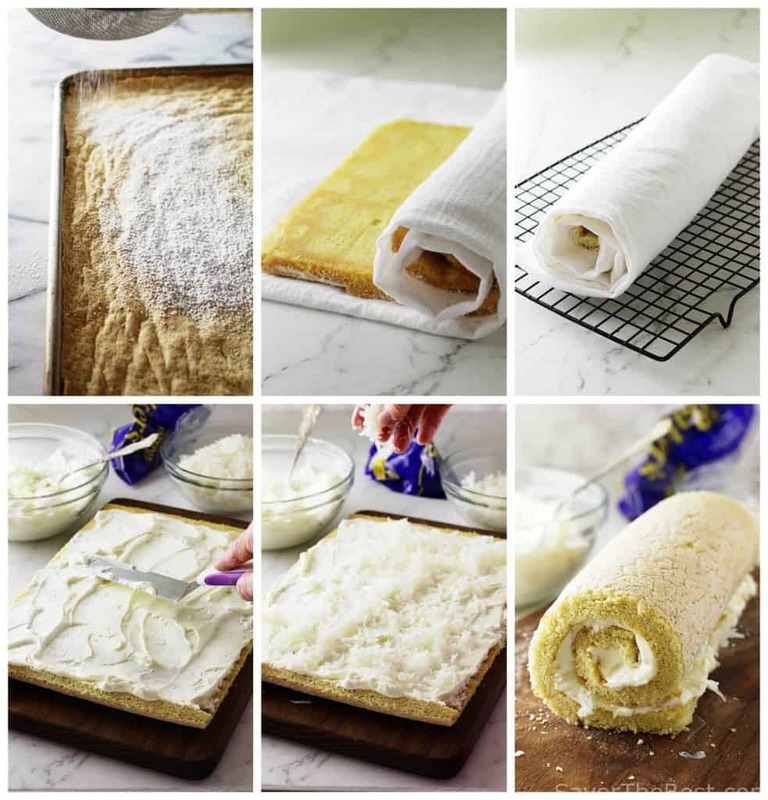 The light, no-fat sponge cake is the secret to making a crack-free, easy-roll cake roll. The filling/frosting is an adaptation of the frosting I used in my Lemon Cream Icebox Cake. We nibbled on slices of the cake roll while we watched our consultant, Jenny, as she demonstrated the Norwex product line. Norwex is an environmentally-friendly company, based in Norway, that has developed products to replace and/or eliminate the use of household chemicals. This is great news to anyone with allergies or sensitivity to the typical household cleaning products. It is also a great way to live a more sustainable, conscientious lifestyle. The products are eco-friendly and re-usable. I really like the idea of having another option to cleaning rather than bleach, scouring powders and other such chemical-based products that have taken over my life. Actually, it is surprising that I haven’t burned out my lungs from trying to clean the tile and glass in my shower all these years. Never again will I have to stand in the shower being asphyxiated by the fumes of the shower cleaner. Now I use a Norwex chem-free product called Blue Diamond spray, some Norwex Cleaning Paste and my special blue Norwex anti-bac enviro cloth. For the outside of the glass shower door and all the mirrors I just use the purple Norwex window cloth and hot water, that’s it…..they are streak-free and sparkling. These are not the same microfiber cloths that are available in Walmart or Target. Norwex has manufactured their microfiber cloths with silver fibers woven in them that gives the anti-bacterial benefits. I couldn’t believe how clean and streak-free my kitchen windows would be until I tried them. Just water! Norwex is a great product! For the past 4 or 5 years, I have had two mystery spots on my hallway carpet that I have been unsuccessful in removing. I have used various products, some designed specifically for carpet cleaning and other products for laundry, even some DIY ideas, nothing worked or even reduced the spots. Also, I have had professional carpet cleaning companies clean my carpet and apply their products to the spots, still they remained just the same. So, when I was told that the blue microfiber enviro cloth and hot water is great for carpet spot removal I had to give it a test try. Just five minutes with the enviro cloth, hot water, and good old-fashioned elbow grease and those spots are gone! It has been more than a month and they have not re-surfaced. This sounds like an infomercial doesn’t it? Well, I have to tell you that no one is sponsoring me and I am not receiving any compensation for posting this information. It is just that I am really excited about these products and want to share my experience with you. Norwex has an ever-increasing list of products, some for household cleaning, laundry, personal care which, incidentally, includes some exciting non-aging products. Also, they have products for men, sports enthusiasts, and our little kids. Our consultant, Jenny, did such a great presentation of the products and answering all of our questions. If you get a chance to attend one of these demo-parties then I think you will find it worthwhile. Or, better yet, if you are in the Silverdale, Washington area, call Jenny at (360) 990-2219 and schedule a demo-party….the point-reward system is awesome. 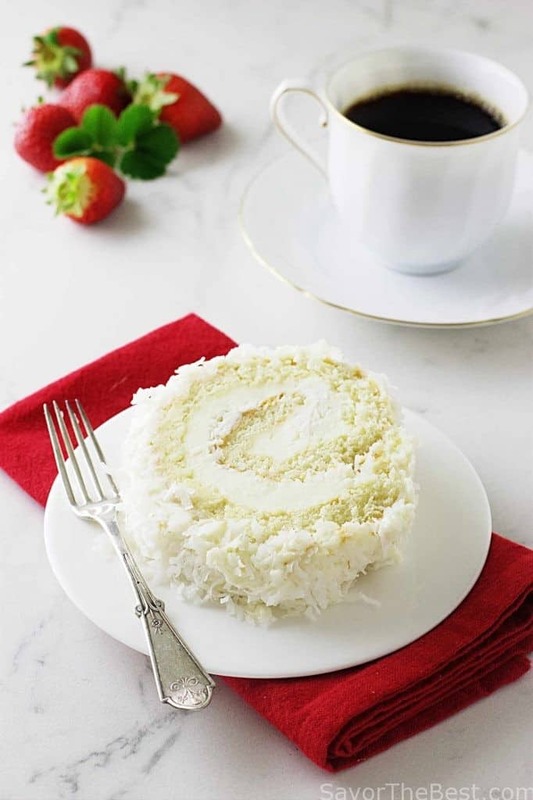 Have you made this coconut cake roll? We would love to hear from you. Drop us a comment below and tell us about your party. Line a greased 15-in. x 10-in. x 1-in. baking pan with parchment paper. Spray the paper with non-stick spray; set aside. In a large bowl, beat eggs for 3 minutes. Gradually add sugar and coconut extract; beat for 2 minutes or until mixture becomes thick and lemon-colored. Stir in water. Combine dry ingredients; fold into egg mixture. Spread batter evenly in prepared pan. Bake on the middle rack of the oven for 12-14 minutes or until cake springs back when lightly touched. Remove from the oven and loosen the outer edges with a knife. Dust the top of the cake with confectioner's sugar and place a kitchen towel over the sugar. Place a baking sheet or plastic cutting board over the towel and flip the cake over so the bottom of the cake is on top. Gently peel off the parchment paper and roll the cake in the towel jelly-roll style, starting with a short side. Cool completely on a wire rack. In a stand mixer, fitted with a whisk attachment, add the softened cream cheese, sugar, salt and coconut extract. Whisk together just briefly until smooth and there are no visible lumps. Stop the motor and scrape down the sides and bottom of the bowl. 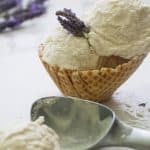 With the mixing speed on low, add the heavy cream and slowly raise the speed and beat until the mixture is thick and creamy and has formed firm peaks. Unroll cake; spread a thick layer of frosting evenly over cake to within 1 in. of edges. Sprinkle with 1 cup of shredded coconut. Roll up again and spread the remaining frosting on the outside of the cake roll and sprinkle the remaining coconut on the roll. Place seam side down on a serving platter. Cover and refrigerate for 1-2 hours. Store in the refrigerator. Yield: 10-12 servings. Measure your pan, this recipe calls for a 15 x 10 inch jelly roll pan. A larger pan will create a much thinner cake which will crack when you roll it up. * The sides of the jelly roll pan should be at least 3/4 of an inch high. * Whole eggs will whip up with much more volume if they are brought to room temperature before you whip them. You can bring them to room temperature quickly by placing them in a bowl of warm water for a few minutes before you crack them open. ** Before rolling the cake up into the towel, put a generous sprinkling of powdered sugar on the cake. This will prevent the cake from sticking to the towel. *Do not use reduced fat cream cheese for the frosting as it will not get thick enough or come to firm peaks when whipped with the cream. ﻿* Make sure your cream cheese is at room temperature before you start whipping it. 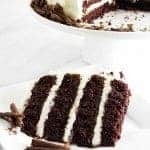 Room temperature cream cheese will whip up smooth and creamy while cold cream cheese will leave lumps and chunks in your frosting. Hi! I fell in love with your coconut swiss roll. I don’t have coconut extract… do you know if I substitute it with something else? I would really love to try your recipe. Gosh Katherene, it’s hard to get a perfect substitute for coconut extract but coconut rum would work pretty good. I LOVE cake rolls and your coconut version looks splendid. Thanks for the recipe, I’m bookmarking it! OMG! That is the most beautiful thing I’ve seen lately. I’m a HUGE fan of coconut, and everything coconut is must try for me. Love the sound of that filling. Just yum! Pinning! Beautiful cake! I love coconut. Your instructions are so clear and the tips are very helpful. I may have to try this myself! wow that looks amazing – I am a coconut addeict! Hi, nice to meet you. This cake is so nice and good! I haven’t heard of Norwex, but it sounds really interesting. Even more interesting is that cake! I love coconut — one of my favorite flavors. Thanks — and Happy New Year! Thanks, John….you will love this cake roll! What a beautiful cake! Didn’t you hear it’s national ‘start your diet day’ today 🙂 So tempting…..